You shall go to aeropostale.com/careers where corporate opportunities and retail openings are covered. You may choose one to make your career built. After you have selected a career area, taking storeline opportunities for example, you can then search for suitable job by title, locations, radius countries and so on and then click "Search" to go to next step. Or you can simply click "Search" to see all current job openings. 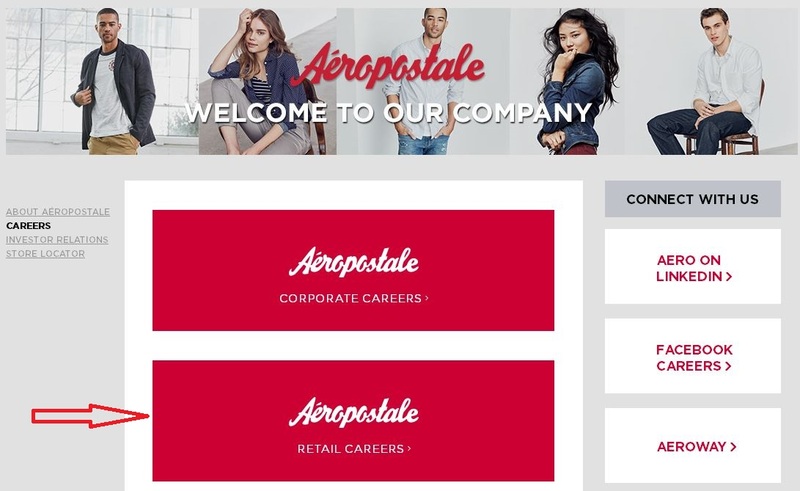 You will see a complete current job opportunities in Aeropostale in the new page. Choose a proper one according to your own experience and qualifications. Take Assistant Manager - Aeropostale Battlefield Mall for instance. Click the position you chosen to move on. After you've chosen a job, you will then be directed to the job description page. Read thoroughly about the job description and skills to make sure you're equal to the job and then click "APPLY" to apply for the job online. Before your online application, you need to create a new account if you are new user of Aeropostale and you may also simply sign in if you have registered already. Certain information, like your email address, phone, former company, your resume, etc. is necessary. Click ""Next" to go further. Record your account info, you email address and passwords included and click "Next" to go on. 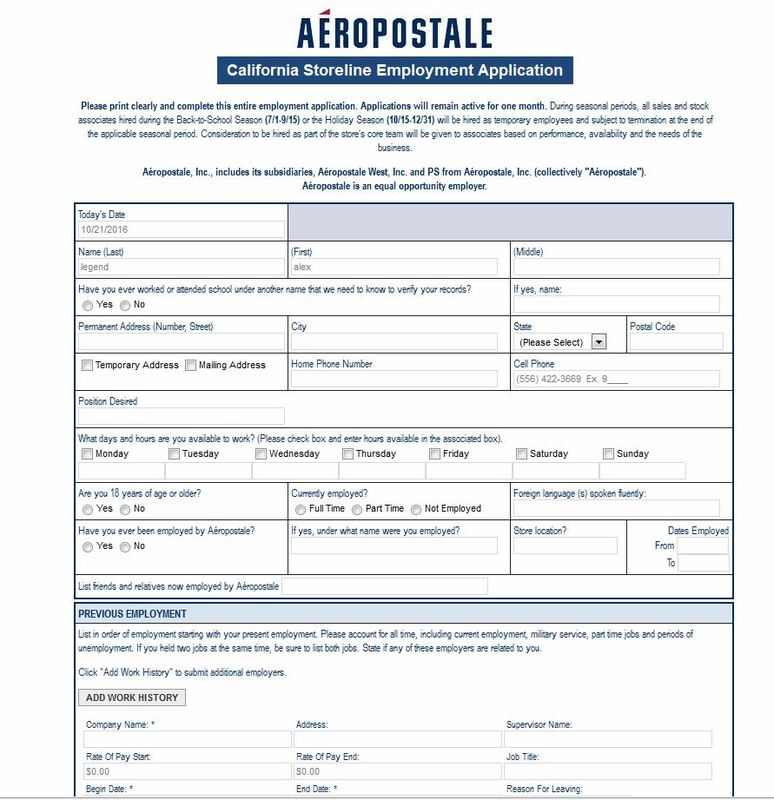 Then an Aeropostale application form will be shown in the new page. You shall complete the application form by providing your personal info, previous employment, education background, references, and so on. Be sure to fill out all needed info before you submit it online. Members of Aeropostale Recruitment Team will review your resume and Application for consideration. You may also print the application form clearly, fill it out and apply in person. Click aeropostale.com/careers to apply for Aeropostale jobs online.